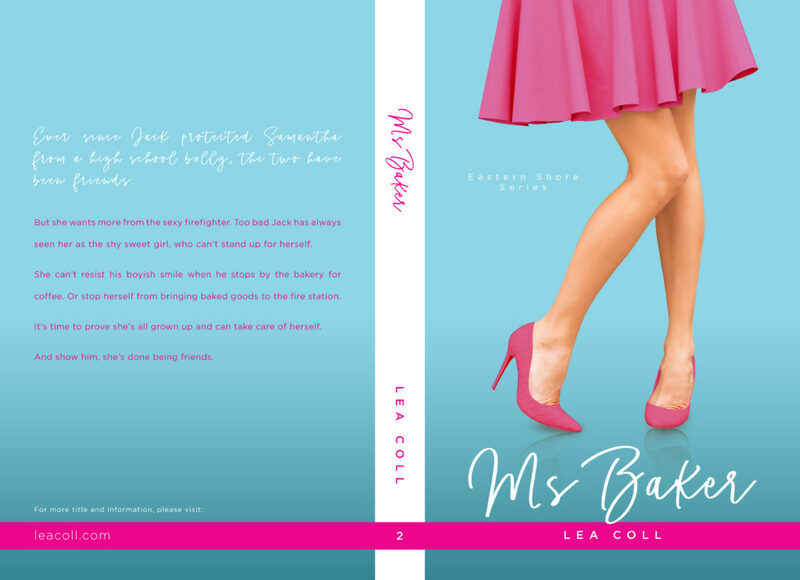 Today we have the cover reveal for Lea Coll’s MS. BAKER. 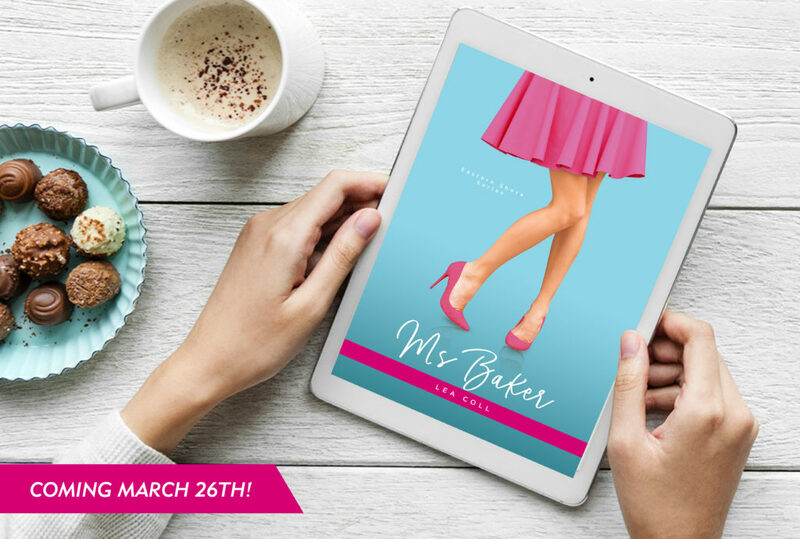 Check it out and be sure to grab your copy March 26th! My eyes traveled around the room until I saw Jack leaning against the counter by the coffee machine in his department-issued navy blue shirt, blue cargo pants, and boots. I flushed to find his eyes on mine. I couldn’t get the feel of his hands or lips out of my head. He made no move to grab a donut, so I walked over to him. “Not hungry this morning?” I asked. “Oh, I’m always hungry,” he said, his eyes steady on mine as he took a sip of his coffee. After the dream I had, I couldn’t help but take that comment literally. “You should eat an apple cider donut before they’re gone,” I said, my heart pounding, I turned to grab a plate to hide my face, but Jack grabbed my hand pulling me back. “Don’t worry about it, I can get it myself,” he said. I heard the guys joking around me, but couldn’t follow their conversation. “Samantha?” Jack’s voice caressed my ear again. “Yeah?” I asked, breathing in the smell of coffee, and leaning my head back a little to look up at him. His eyes crinkled in amusement and his lips tilted up into a smile. 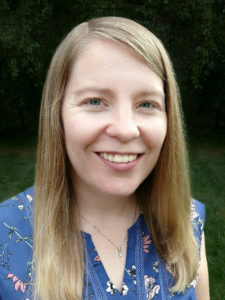 His chest was warm on my back, and my hands instinctively gripped his bare forearms, which were wrapped around my waist. 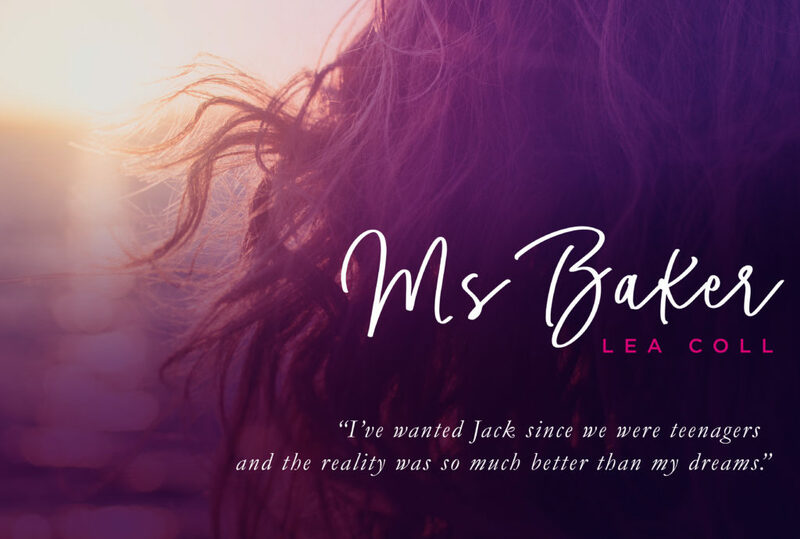 I wanted to sink back into him even more, but I reluctantly moved out of his hold, feeling the loss of warmth immediately. I shook my head to clear it and pulled a stool from the island to sit down. The guys were still standing around the counter, but the box of donuts was almost empty.